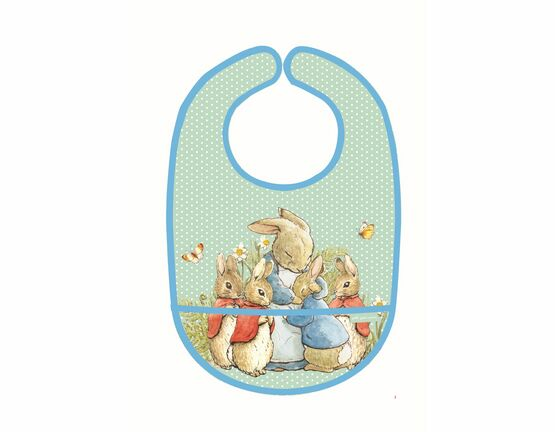 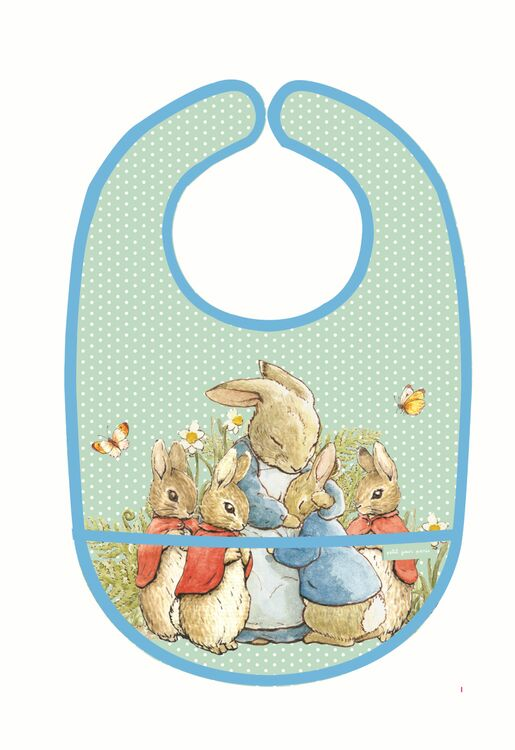 This pale green spotty Peter Rabbit themed bib is waterproof and perfect for protecting clothes at meal times. 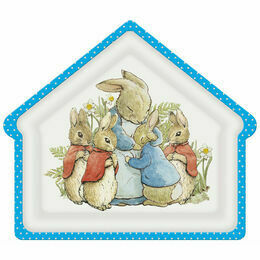 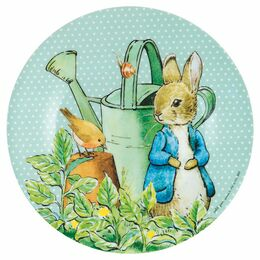 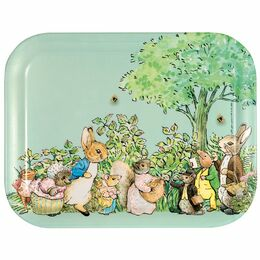 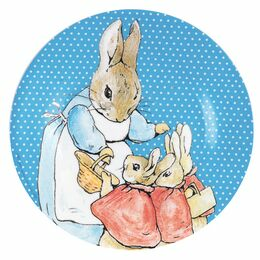 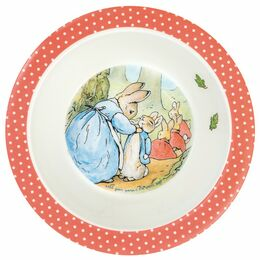 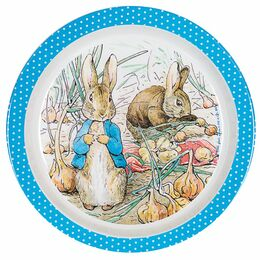 It matches the rest of the Peter Rabbit themed melamine tableware by Petit Jour Paris. 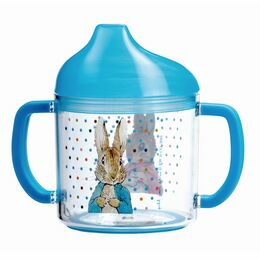 It is fastened by velcro and has a pocket to catch spillages. 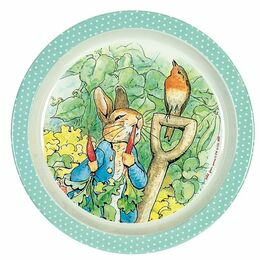 Founded in Paris in 1977, their toys were previously imported from Northern Europe but are now produced uniquely with a kitchen plate, mug and cutlery range inspired by popular children's characters. 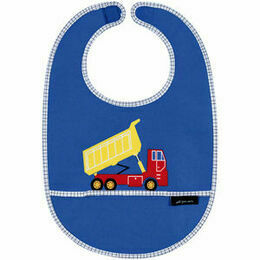 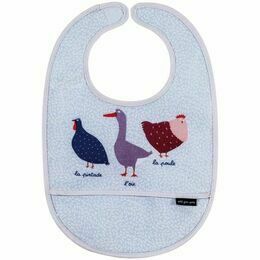 Excellent bibs for weaning...softer than the hard plastic ones around baby's neck and cover a large area of their clothing preventing clothes easing as stained as they would without the bib!